Every retail and wholesale shop needs to have a receipting system to use when serving their customers. Clients will always ask for receipts for every product or service sold to them. Even the business needs to have a record of what they have sold and a receipting system is therefore important. A Receipt printer greatly impacts customer service in any business, and therefore it should be sourced wisely after keenly observing the features. 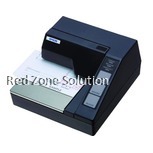 Dot Matrix receipt printer is one of the best receipt printing devices you need in your store. 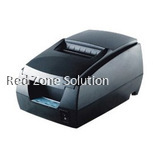 It is a good receipt printer because it has various exciting features that every business needs when acquiring a POS receipt printer. Here is why Dot Matrix Receipt Printer is the best. 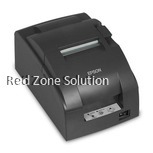 A receipt printer should be easy to use to avoid delays when serving your clients. With the Dot matrix receipt printer, you just have to follow simple steps when serving the customer. Therefore there is very minimal training that is needed on how to use the receipt printer and the organisation does not have to spend on training since the use procedure is very easy. This covers both the installation and actual use of the dot matrix receipt printer. Time spent in a queue while waiting to be served should be minimised and one of the factors that greatly determine this is how fast the receipt printer is when producing a receipt for each customer. 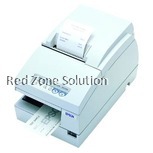 With the Dot Matrix Receipt printer, it is very fast to execute the print command, and therefore your customers will not even realise they had to wait to be served. The fastness, in which the receipt gets out once the cashier hits the print command, is good enough to make sure the customers are happy. There are various times when you need to use a cashier receipt printer outdoors. The dot matrix receipt printer is easy to carry around. The weight ranges from 1.7 KG to 4KG, and therefore it can be used in an outdoor setting as long as you have enough power supply. This means that you don’t have to wait for the customer to come to you since you can as well go to where the customer is and serve them from there. This is an advantage for the mobile retail stores and the delivery businesses that need to issue a cashier receipt when they provide a service. It is compact and therefore saves you space on the desk. 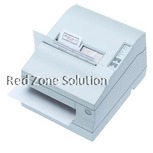 There are three different models of Dot Matrix Receipt printer that are available. You can choose the best brand based on your needs and the budget that you have. 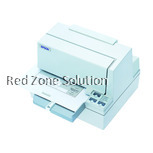 The three models are Epson TM-U220B, REDTECH 7645L, and Code Soft DP7645 III. All of them are classified as Dot Matrix receipt printers, and they serve the same purpose though they have different additional features and the pricing is different. When buying a cashier receipt printer, it is advisable that you buy a printer that will easily suit your needs as the user, one that is easy to use and is compact and portable.